It’s always exciting when a young child gets to meet an author of one of their favorite books, but what if that author was close to them in age? How empowering would it be for a child to see another child, just like them, standing up in front of them, talking about the book she wrote? That’s what you get when the Purpee the Purple Dragon authors visit your school. We can perform either half day or full day. On a half day visit, we can do two 45 minute presentations, and on a full day, we can do five 45 minutes sessions. We also have presentations for two age groups as explained below. 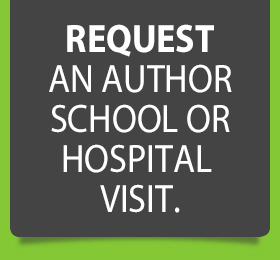 With both options, we make every effort to have both authors visit the school, but Brianna (now ll years old) sometimes cannot make it due to her own school schedule. For grades K through 2 we do a simple presentation where we show the students how the characters started with our own sketches and progressed into polished characters. We then read one of the books to the children in an interactive way. For grades 3 through 5, we give an engaging presentation entitled W.R.I.T.E – 5 Simple Steps to Becoming an Awesome Writer No Matter How Old You Are. 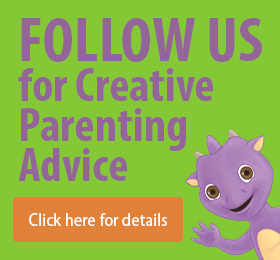 During this engaging presentation, we walk through tips for improving your writing skills but also discuss the entire book writing process, showing in detail some of the initial sketches for the Purpee the Purple Dragon books. Students really feel honored to be able to see the process from day 1 to the finished books, and they are thrilled to know that someone their age can publish a real book! What are the Author Visit Fees? If you are interested in scheduling an author visit, simply fill out the form below and we will be in contact with you shortly.